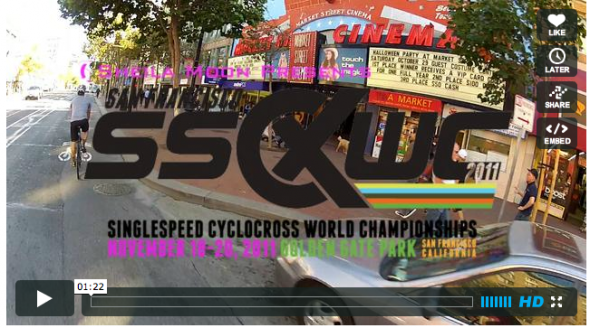 San Francisco, California – Organizers for the 2011 Singlespeed Cyclocross World Championships today announced new details for the three-day event, being held in San Francisco on November 18-20. The schedule for events during the championship weekend is now updated on the event website,which provides additional information on timing and logistics for all activities as well as an FAQ. 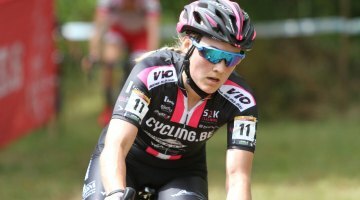 The weekend’s events kick-off on Friday, November 18, with a cyclocross ride in the East Bay hills. Starting at 1:30pm, the ride starts and ends at Sheila Moon Athletic Apparel headquarters in Emeryville (5900 Hollis St, Unit T-2) and will split into two groups to accommodate hammerheads as well as flower-smellers. For public transportation options and specific directions to the ride start, please visit the SSCXWC blog post. Beginning at 6:00pm on Friday, organizers are hosting the event kick-off party, also at Sheila Moon Athletic Apparel headquarters, with gourmet taco bar, NUUN-sponsored cocktail beverages and New Belgium beers on-tap. Entrance to the kick-off party is free and is open to participants, volunteers, race affiliates and their guests. 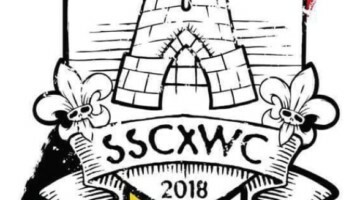 Food tickets are $12 in advance or $15 at the door and can be purchased through the SSCXWC store. Registration packet pick-up also begins at 6pm on Friday at Sheila Moon Athletic Apparel headquarters and ends at 9:30pm. Racers who are unable to pick up their registration information packets prior to 9:30pm on Friday evening will be able to retrieve packets from Mojo Bicycle Café in San Francisco (639-A Divisadero Street) from 10:30pm to 1:00am, as well as on Saturday from 8:30am to 5:00pm. 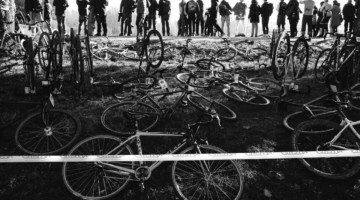 Saturday, November 19, both men and women racers will be subjected to the SSCXWC qualifying event, which will include a ride to some of San Francisco’s most notable landmarks and a series of Five Feats of Strength. 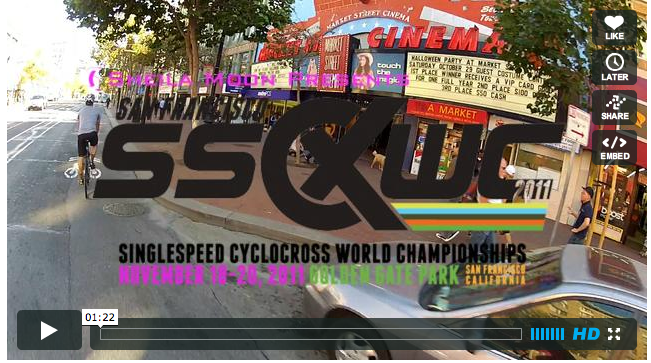 Staging for the qualifying event will begin at 8:30am at Mojo Bicycle Café (639-A Divisadero Street), where flights of riders will leave every 10 minutes. Start times for flights will be provided to riders via email prior to Saturday, included in registration packets as well as published in a blog post next week. Saturday evening, SSCXWC 2011 organizers will host a no-holds barred pre-race party, where remaining qualifying positions for Sunday’s championship race will be determined by a special Sixth Feat of Strength. The party is from 7:00pm to 11:00pm; announcements to reveal Sunday’s qualifying racers and the Sixth Feat of Strength will take place between 8:00-11:00pm. The party is located at Sports Basement on Bryant Street (1590 Bryant Street) and is open to participants, volunteers, race affiliates and their guests. Championship activities culminate on Sunday, November 20, with racing in the Metson Lake area of Golden Gate Park (http://g.co/maps/gqj8w) starting at 9:00am. With the start/finish line located on Middle Drive, racers will battle it out to determine which man and which woman will be crowned the next Singlespeed Cyclocross World Champion. 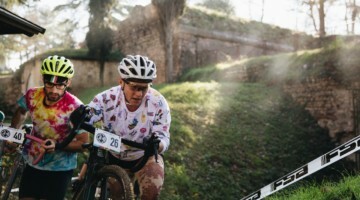 An updated schedule of races for Sunday can be found online at http://www.sscxwc2011.com/race-info/. Following Sunday’s races, participants and spectators alike will be heading to Buckshot Bar (3848 Geary Street) to try their hand at skeeball, Buck Hunter or pool and to graze on chicken-fried bacon while snapping pictures in the photo booth. Buckshot Bar is an easy 10-minute bike ride from Golden Gate Park; bicycle racers and participants will be treated to a bike valet watching over their wheels while they are inside reliving the weekend’s shenanigans.